Career Communications Group (CCG) — producer of the BEYA STEM Conference, an annual event hosted by CCG’s Black Engineer magazine — announced today that the 33rd Black Engineer of the Year will receive his award on Sat., February 9, 2019, at the Washington Marriott Wardman Park. 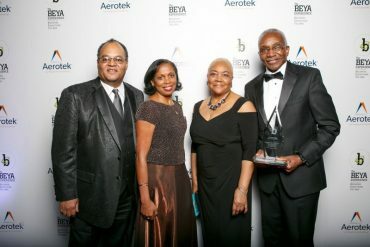 “The 2019 BEYA Selection Committee, supported by the Council of Engineering Deans of Historically Black Colleges and Universities and our lead sponsor Lockheed Martin Corporation, have invested in me the authority to announce that Tony Mitchell is the 2019 Black Engineer of the Year,” said Tyrone Taborn, CCG CEO and co-founder of the BEYA STEM Conference. 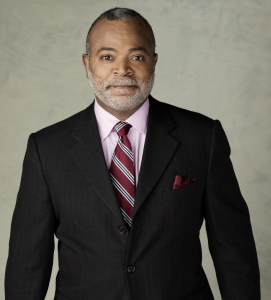 Anthony “Tony” Mitchell is an executive vice president at Booz Allen Hamilton. He leads strategic development and execution of the management consulting firm’s Justice, Homeland Security, and Transportation business. Recently, Mitchell served as deputy lead for defense and intelligence business, where he executed strategic initiatives to drive growth and financial performance. In the community, Mitchell serves as a board member and chair of the Audit Committee of United Through Reading, an organization dedicated to uniting U.S. military families through the gift of reading. He holds a B.S. in electrical engineering from the General Motors Institute (now known as Kettering University) and an M.S. in information systems management from The George Washington University. “When Michael McCullough, former CEO of Booz Allen, led the firm to join BEYA in building the STEM talent pipeline, less than two percent of engineers in the United States were African American, and only 5 historically black colleges and universities (HBCUs) had ABET-accredited engineering programs,” said Taborn. Over 33 years, the Black Engineer of the Year Award (BEYA) Conference has exposed more than 100,000 students to role models in science, technology, engineering, and math (STEM) careers. Horacio Rozanski, president and chief executive officer of Booz Allen Hamilton Inc. since 2014/15, said the firm was proud to be a longtime partner of the BEYA Conference and to have someone of such stature within their ranks identify and develop future Black talent. “You and your accomplishments are a testimony to you and our firm. I can’t think of a more deserving person,” Rozanski said of Mitchell, the 2019 Black Engineer of the Year nominee. Mitchell thanked Rozanski for his support and the Booz Allen nominating team, including Dennis Via, current EVP, and retired US Army general. Mitchell said he is looking forward to serving as a BEYA ambassador in the nationwide effort to recruit more African Americans for careers in STEM. Mitchell also said that “knowing BEYA’s legacy,” it was a “tremendous honor to be recognized among accomplished individuals,” such as Mark Dean, chief engineer for the team that developed the first IBM personal computer, Capt. Donnie Cochran, the first African-American pilot to command the Blue Angels, and Linda Gooden, who led the development of cyber solutions for federal defense, intelligence, and commercial customers at Lockheed Martin. Booz Allen executives that have been named Black Engineer of the Year, include current Chief Financial Officer and Treasurer Lloyd W. Howell. The management consulting firm has received a number of awards at the BEYA Conference for diversity, recruited at the annual Career fair, and held professional development seminars that are focused on skills in science, technology, engineering and math (STEM). Hosted by Career Communications Group, Inc’s US Black Engineer magazine, the Council of Engineering Deans of the Historically Black Colleges and Universities, and Lockheed Martin Corporation, the 33rd Black Engineer of the Year Awards (BEYA) Science, Technology, Engineering, and Math (STEM) Conference will take place February 7-9, 2019 at the Washington Marriott Wardman Park in Washington, D.C.